Online shopping is a large market for any business. 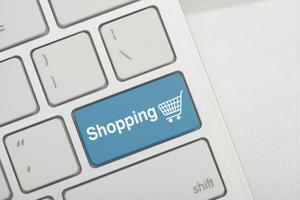 Online shopping sales are expected to reach $370 billion by 2017 according to CMO. An industry with those types of numbers is certainly doing something right. However, there is one particular point of concern when it comes to spend management within online options. In a study conducted by HRC Advisory, 95 percent of respondents reported that online returns and the costs that are attached to them are their biggest concerns. Survey participants consisted of 20 executives of retail in the electronics, food and health industries. When it comes to strategies for optimizing these retailers' supply chains, returns presented a major obstacle. President of HRC Advisory, Farla Efros, addressed the roadblocks returns present to e-commerce leaders. Efros noted that to remedy the discrepancies there would need to be a "significant increase in supply chain flexibility and better integration between the physical store and e-commerce network." • 65 percent of returns are not shoppers' faults. • 23 percent of returns are a result of the wrong product being shipped. • 20 percent of returns are due to the item being damaged upon arrival. • 22 percent of returns involve a disconnect in physical appearance from the online image. Returns have a negative effect on both business and consumer. PYTMNTS.com found that returns can end up costing retailers more than the sale a staggering 85 percent of the time. Consumers are impacted because they often have to pay money to return an item they already paid for. Internet Retailers found that only 10 percent of online companies provided free return shipping. Overall, the current system for returns within online retail is a lose-lose set up in a highly profitably industry. Owners of e-commerce shops should take a step back and carefully analyze their supply chain's role in these returns. True Ship found that 80 percent of customers are deterred by inconvenient return processes. The potential loss of costumers combined with the added cost to retailers should make returns a major focus for any business owner.